A brand-new, Dawes Fretzin Dermatology facility is now open to patients at 79th and Shadeland in Indianapolis. 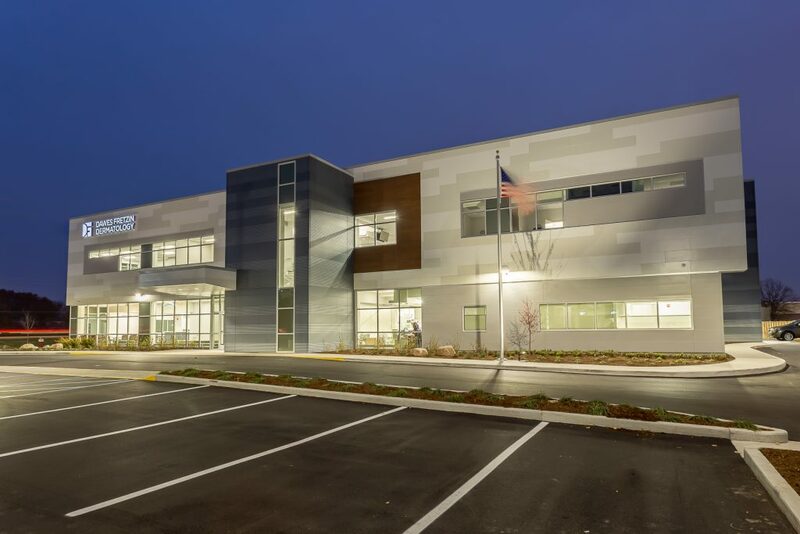 This impressive, two-story building serves as a clinic, research facility and Mohs surgery treatment center for a local and rapidly-growing dermatology practice. Dawes Fretzin Dermatology Group has three additional locations in Indiana —one on the east side of Indianapolis, one in Anderson and one in Kokomo. 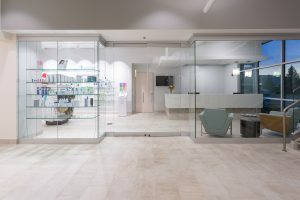 In addition to state-of the-art medical equipment and offices, the facility includes beautiful reception areas, and a dedicated children’s waiting area. The surgery treatment center offers patients Mohs Micrographic surgery, a specialized, highly-effective technique for the removal of skin cancer. 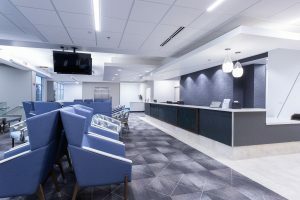 Cornerstone served as the developer and general contractor for the year-long construction project, and the building opened its doors to patients in November. 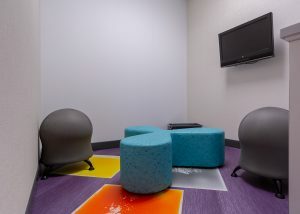 When they’re not looking at the saltwater fish tank, Children can enjoy their own dedicated waiting area with interactive floor tiles. Clean aesthetics on the first-floor lobby lead to a soothing retreat for cosmetic services.